$6 a year. That’s all it costs the average Amicalola EMC member to round-up their electric bill for an entire year. $6 doesn’t sound like much, but it adds up in a big way! 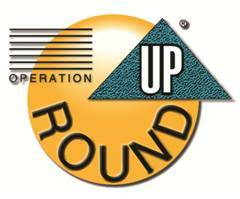 $2.3 million dollars has been collected through Operation RoundUp since we started participating in 1999. Every penny we’ve collected has been put back out into the community to qualifying individuals, either directly or indirectly through community charities, for food, shelter, clothing, health needs, education and specialty needs. The next time you receive your electric bill, take a second and notice how many pennies it would take to round it up to the next dollar. We’re hoping when you do that, you will realize just how little it takes to help those in need. Call 706-253-5200 to join.